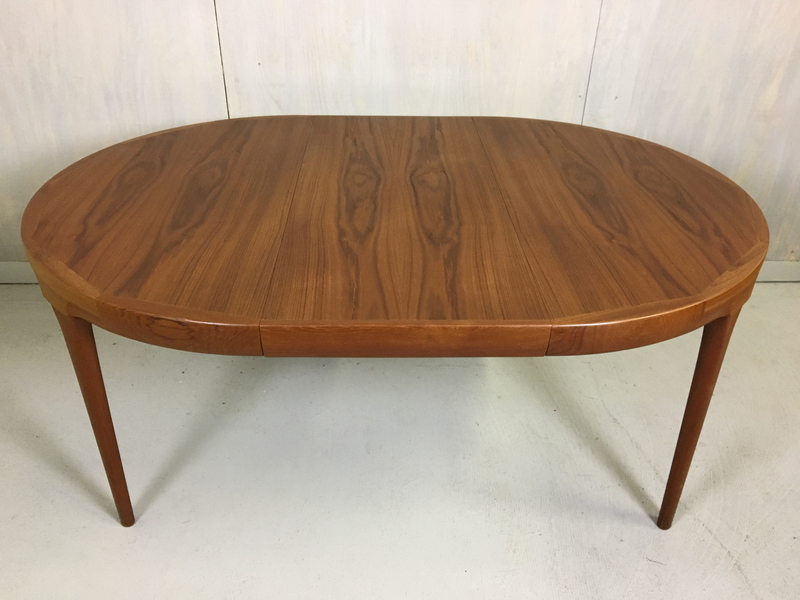 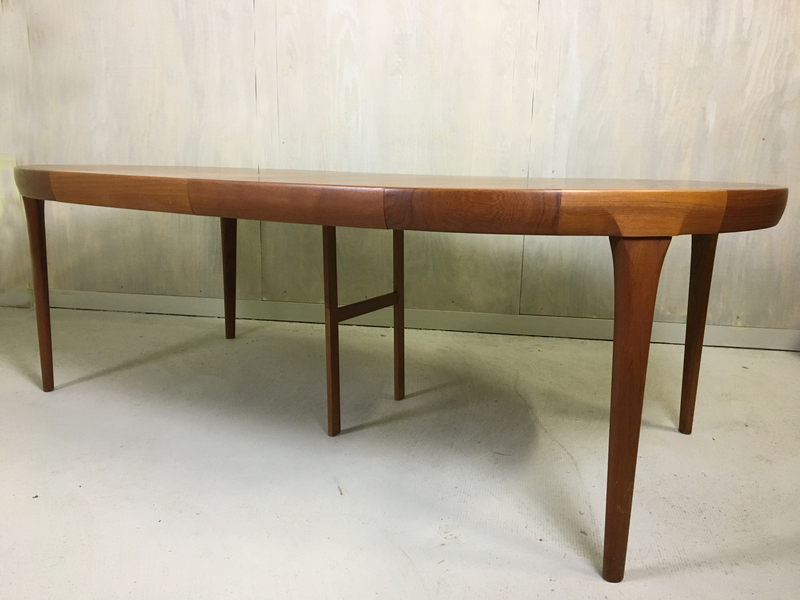 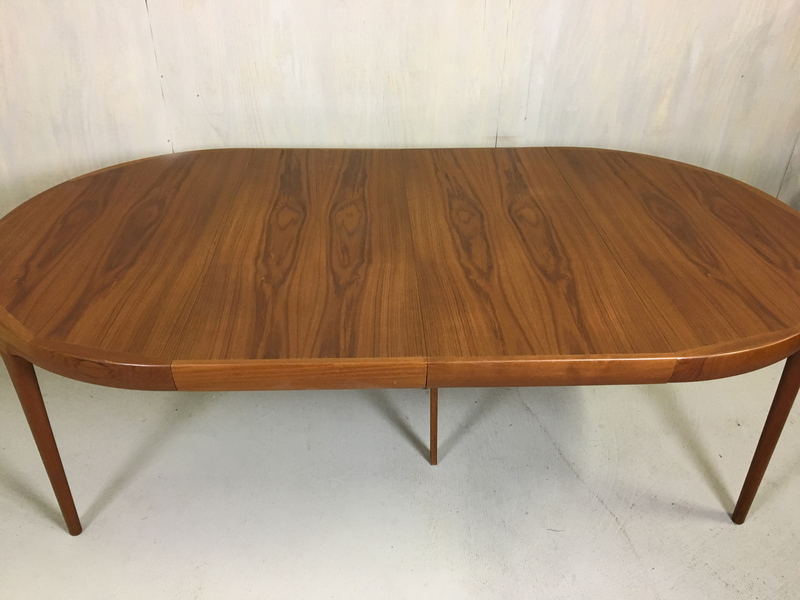 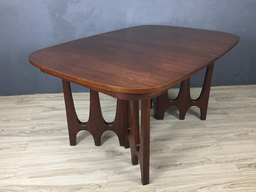 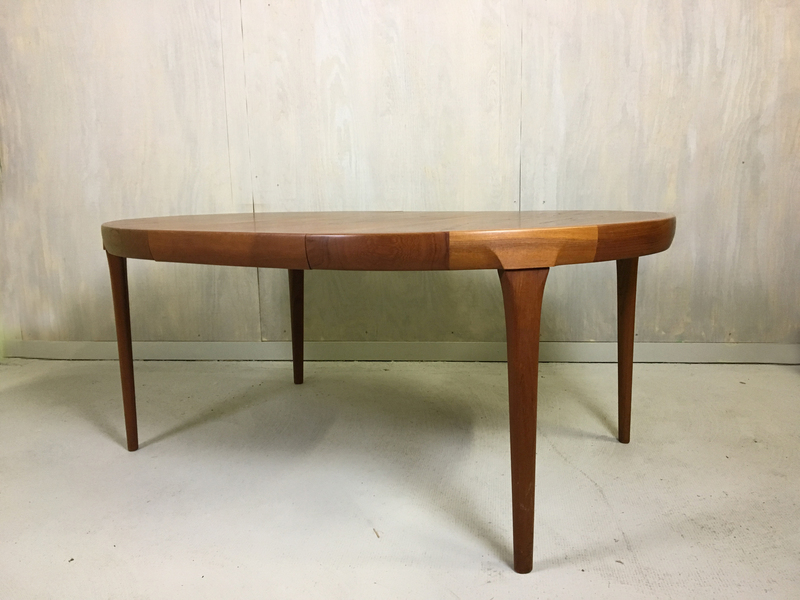 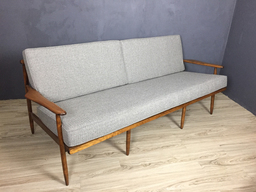 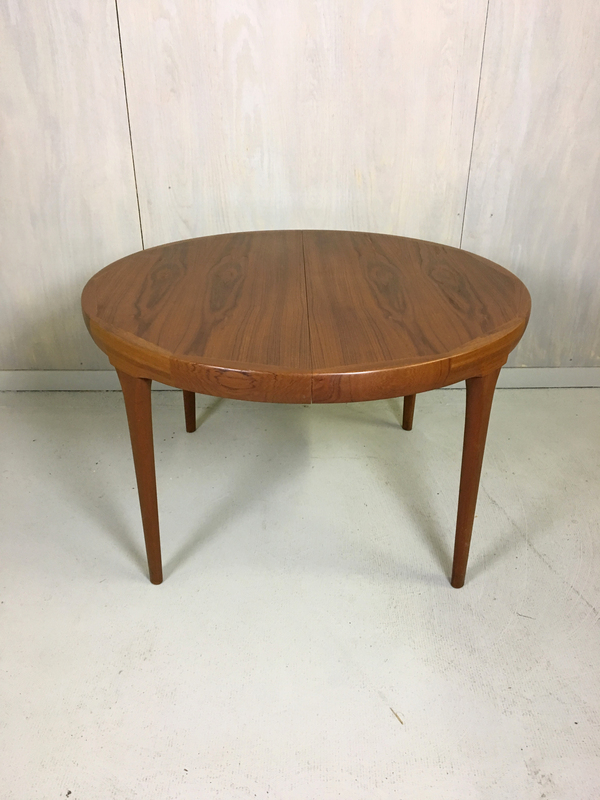 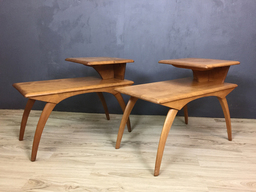 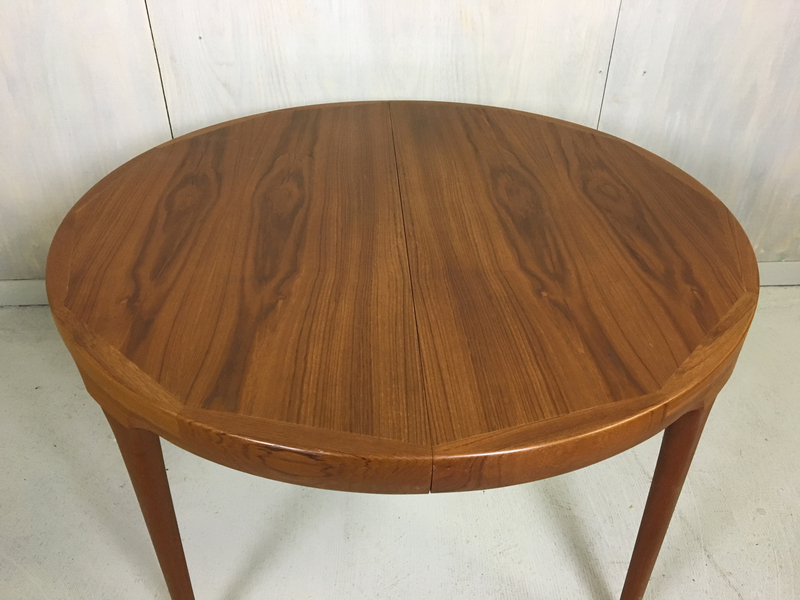 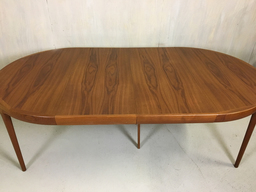 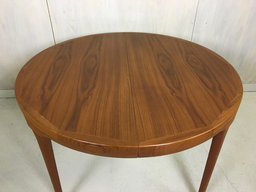 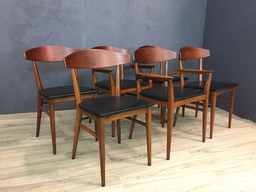 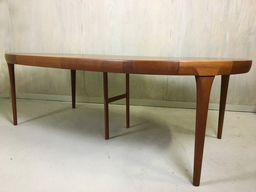 This beautiful teak table was designed for Faarup Mobelfabrik of Denmark in the 1950s by Ib Kofod-Larsen. 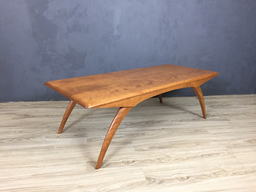 Forty-seven inches in diameter without the leaves, it extends to an 86.5 inch oval with the addition of two 19.75" leaves. 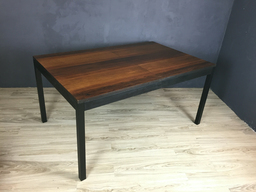 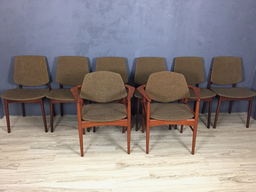 Beautifully constructed with wood slides and a drop down brace for support when table is fully extended. 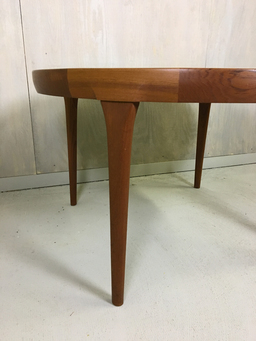 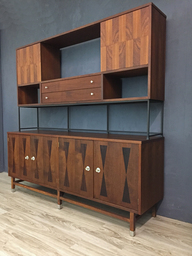 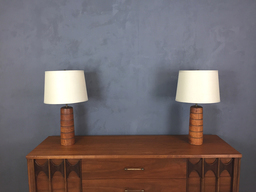 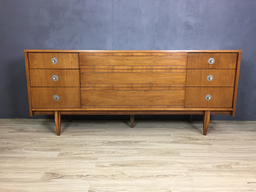 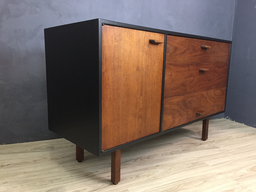 The top is edged with a handsome angled wood decorative pattern. 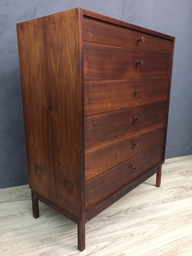 In excellent condition as it was impeccably cared for by one owner.